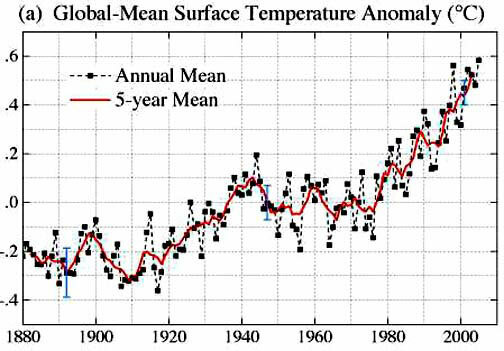 1880 to 2005 Global-Mean Surface Temperature Anomaly (Celsius) in a steady climb upward since the 1960s. The ten warmest years in the past 150 years have all occurred after 1990. Temperature graph by NASA Goddard Institute for Space Studies.